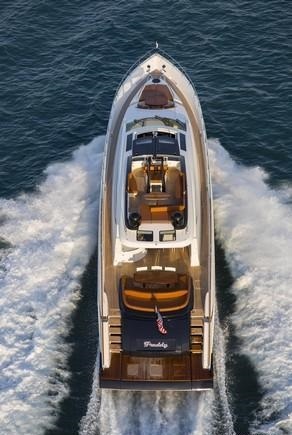 Luxury performance motor yacht FREDDY is a LSX92 Lazzara, built by Lazzara Yachts in 2010 and measures 28m (92ft). 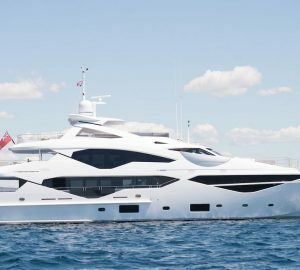 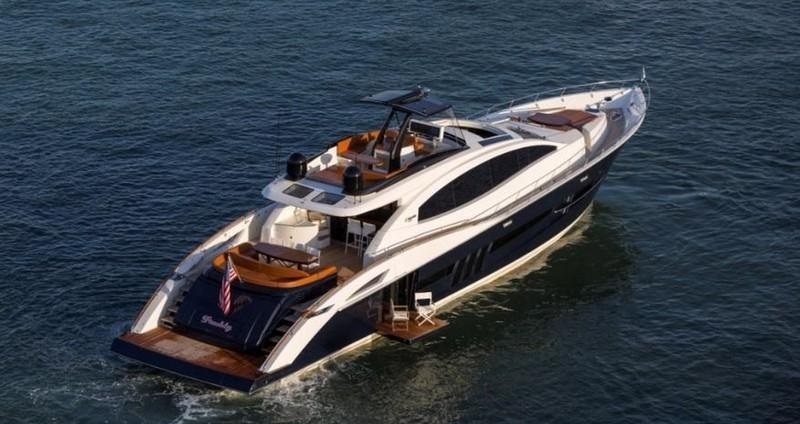 Available for charter in Florida and the Bahamas year round, M/Y FREDDY offers deluxe accommodation for up to 8 guests. 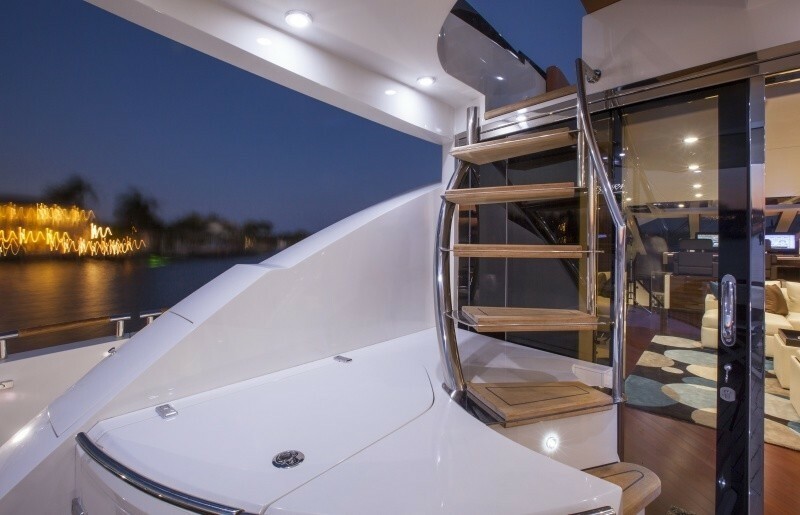 FREDDY is the ideal choice for an exhilarating charter boasting speed and agility, or a sophisticated getaway, offering sumptuous comforts and fabulous amenities. 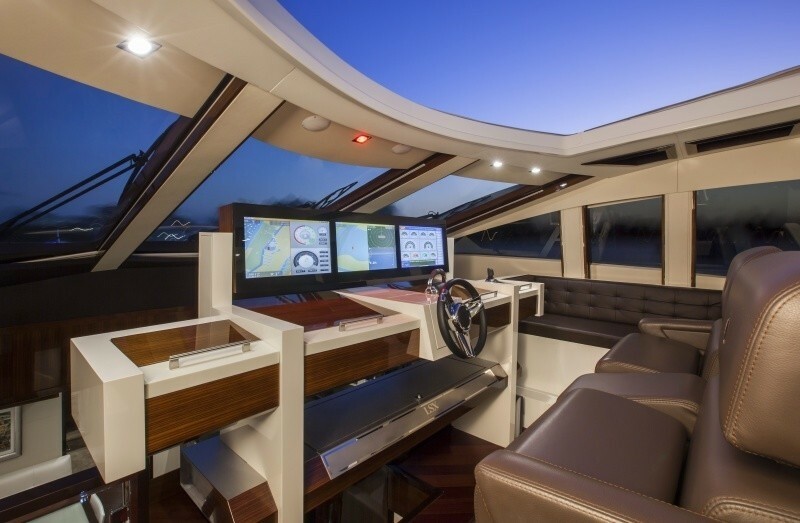 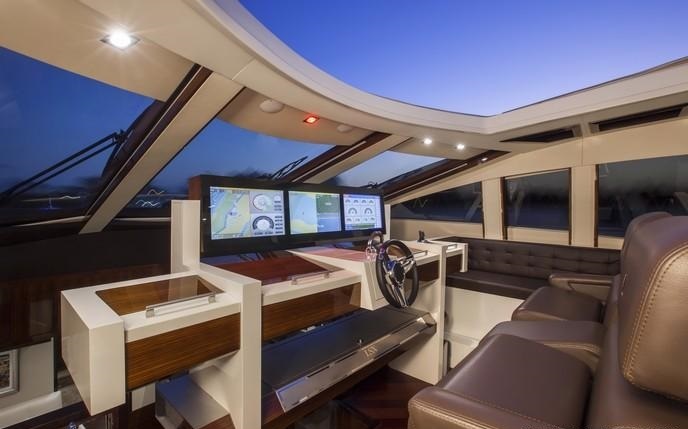 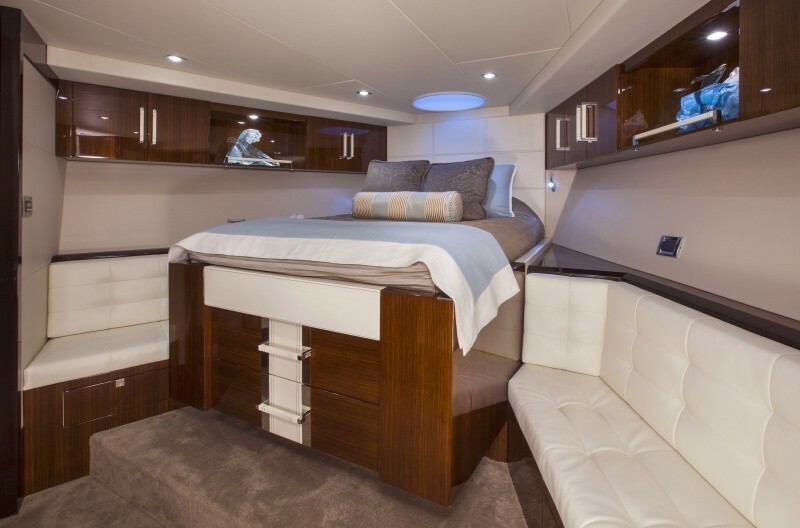 The FREDDY motor yacht has a modern chic interior, using bespoke soft neutral furnishings, warm wood floors and high gloss finishes. 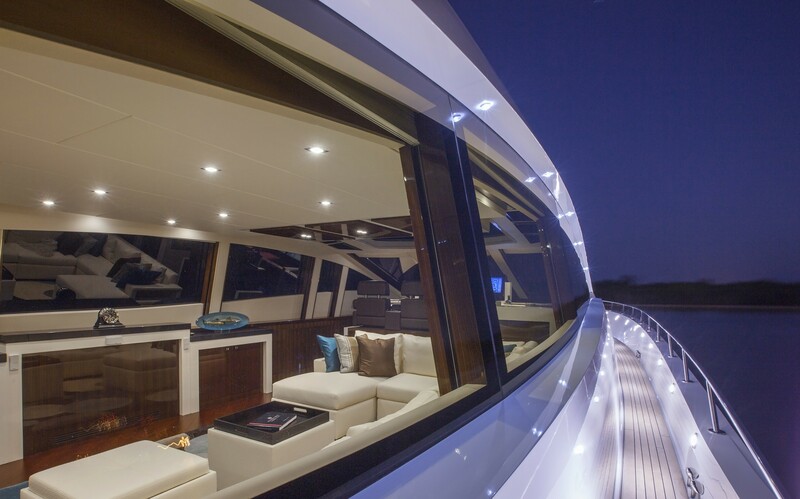 The salon is on the upper deck surrounded by elongated windows, receiving plenty of natural light. 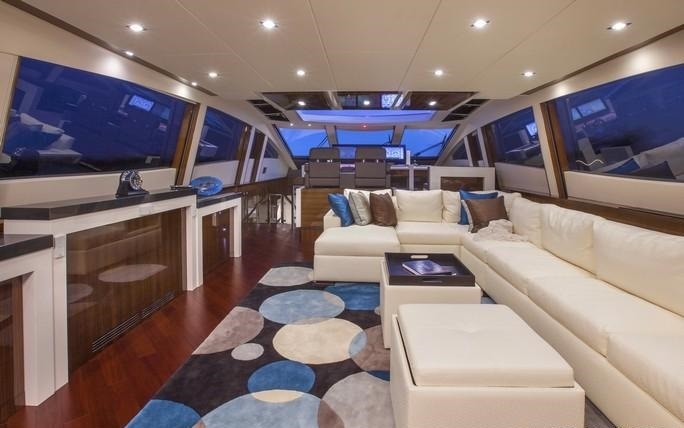 An L shaped cream leather sofa and 2 ottomans are to starboard, with a full entertainment center to port. 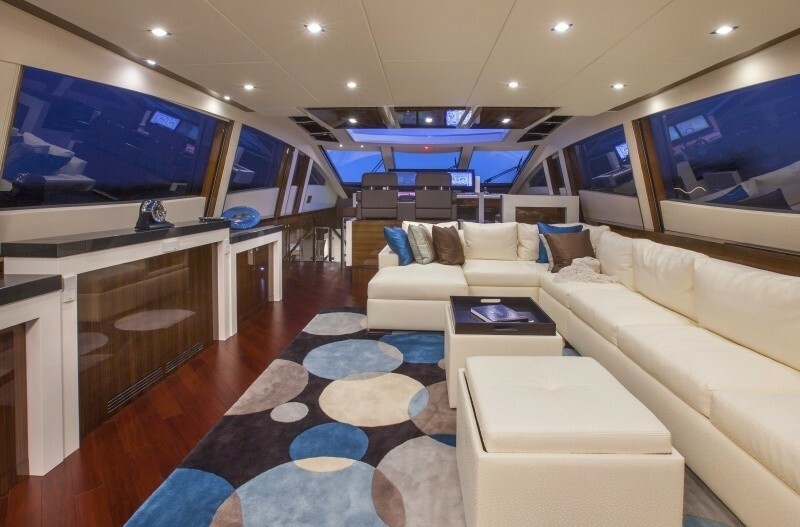 Hints of cool blues and greys draw the eye and create a soothing ambiance. 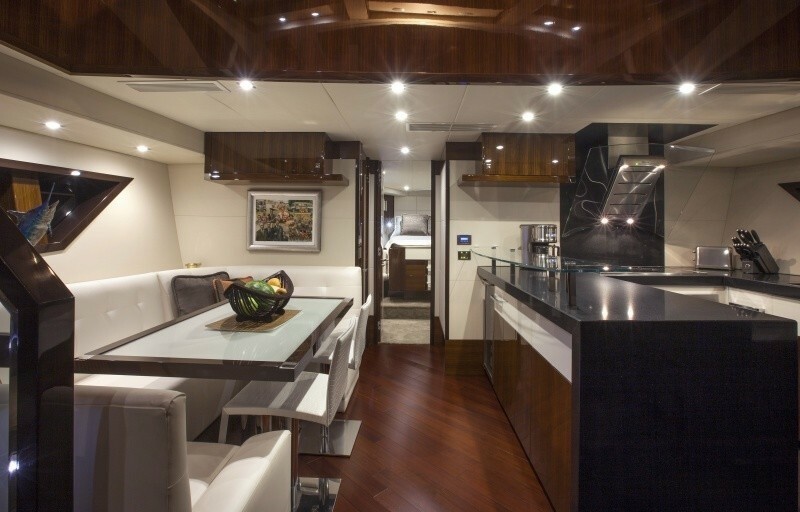 Below decks, the well-appointed galley and formal dining area are amidships. 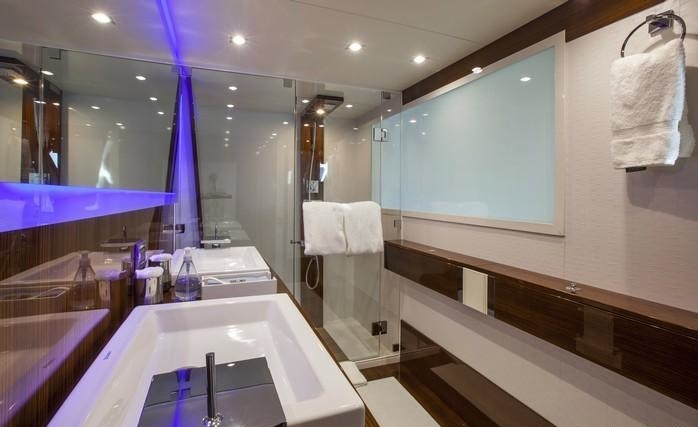 Aft of the galley is the full beam master stateroom, while forward are a further 3 guest cabins, all with private en-suite facilities. 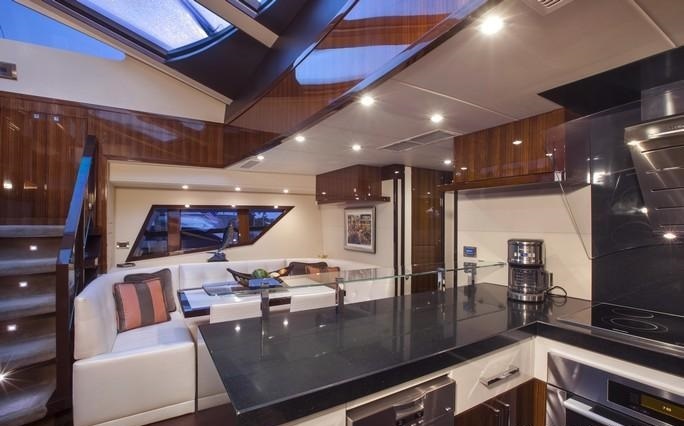 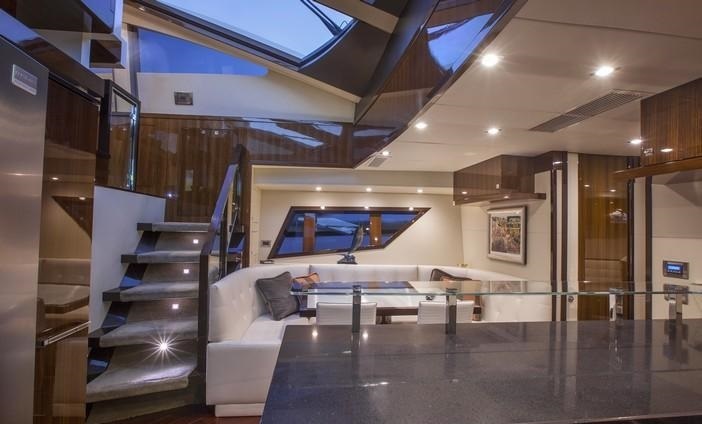 Crewed charter yacht FREDDY has heaps of exterior living areas to enjoy. 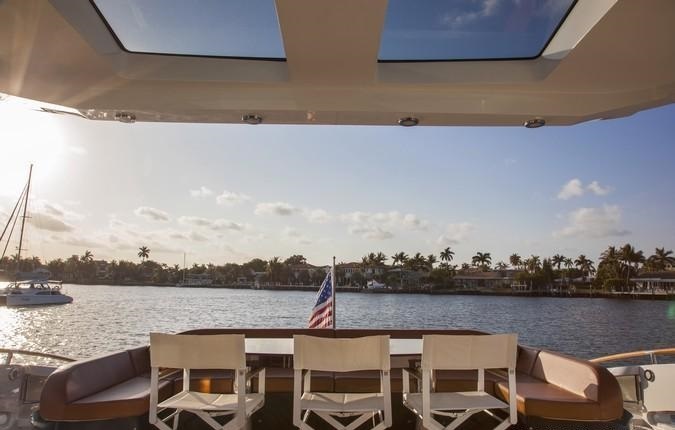 The aft deck has an alfresco dining option and partial shade, followed by dual steps accessing the massive swim platform which lowers to below sea level, for effortless water access. 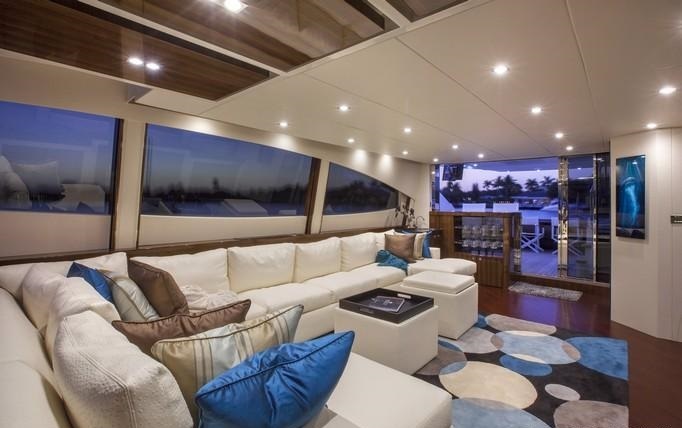 Side decks wrap around the motor yacht FREDDY, leading to a generous foredeck and further alfresco dining area, plus a large sunpad. 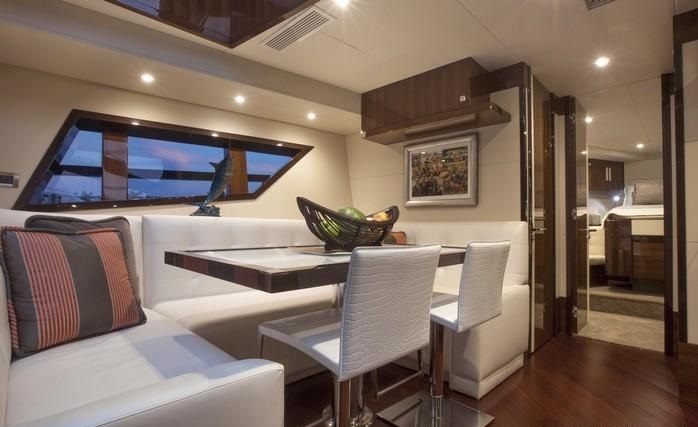 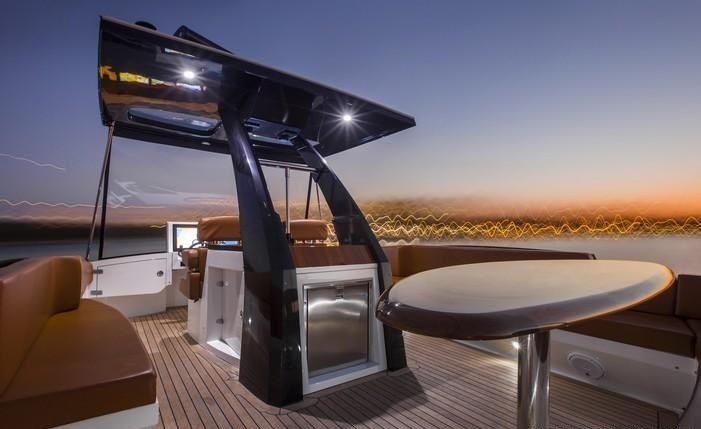 Above the main deck, the Lazzara continues to offer ample deck areas on a spacious sundeck, complete with seating, a small canapés table, sunpad and partial shade. 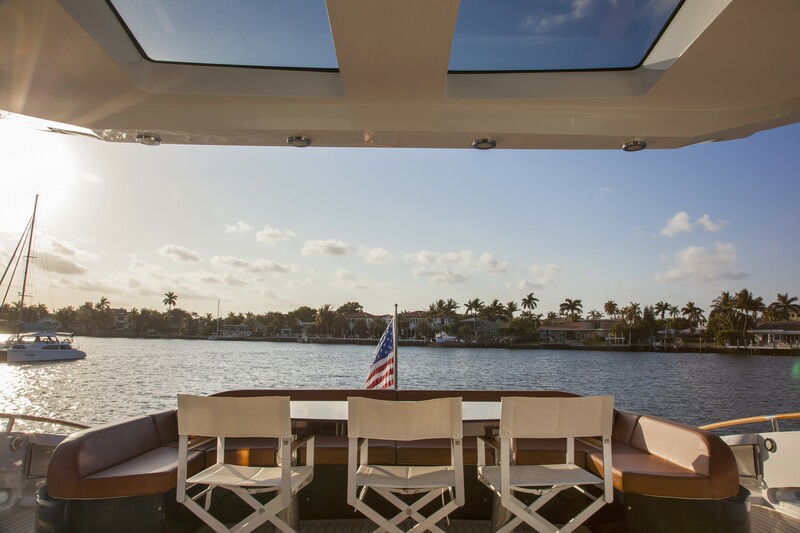 Additional exterior living is from the master stateroom, boasting a private balcony which opens from the master en-suite, on the starboard side. 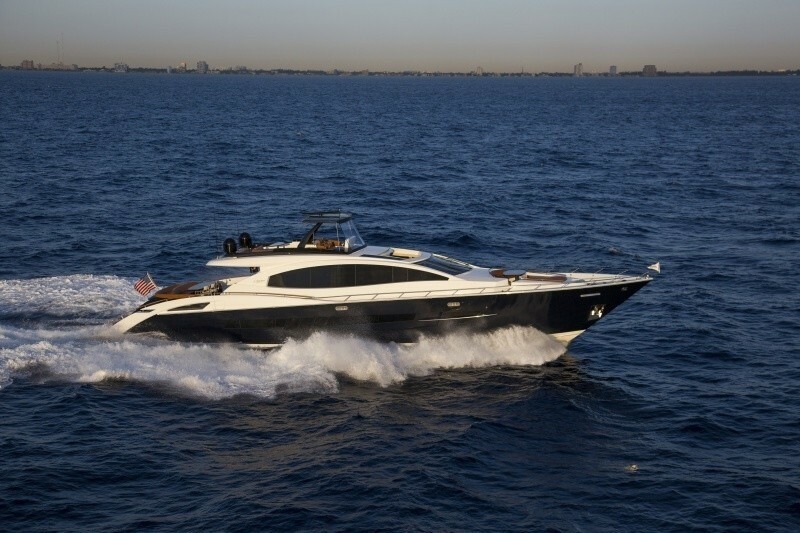 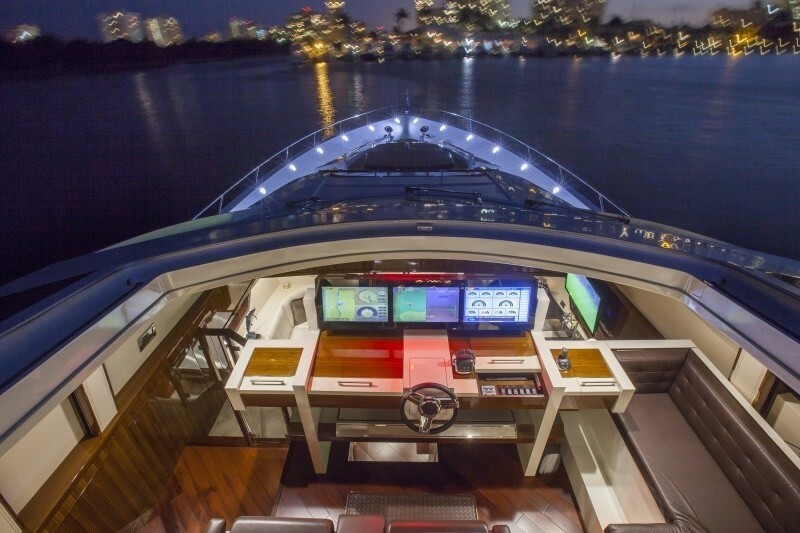 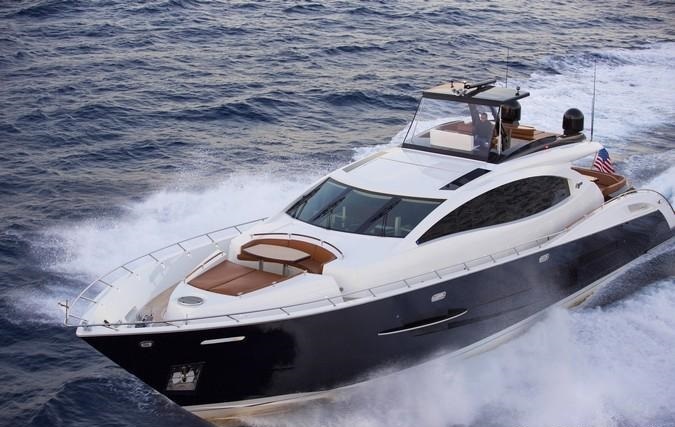 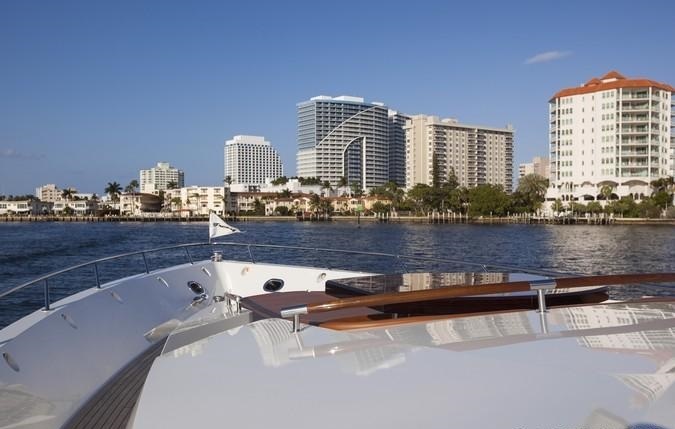 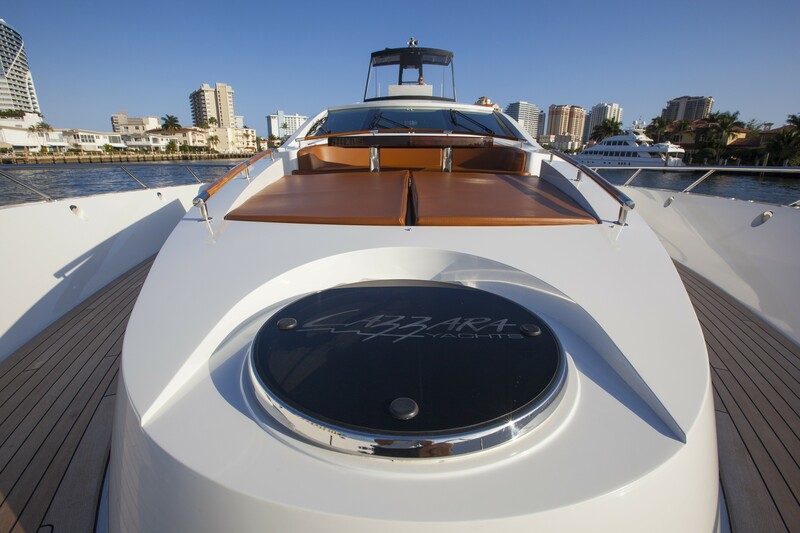 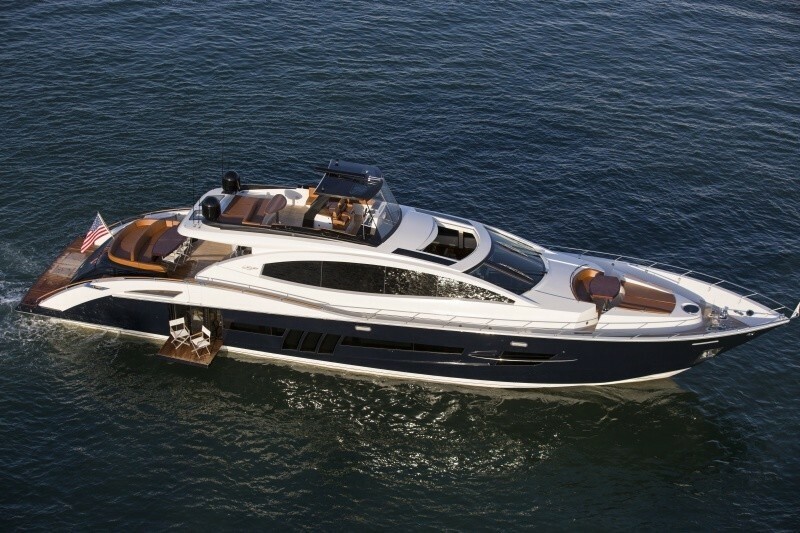 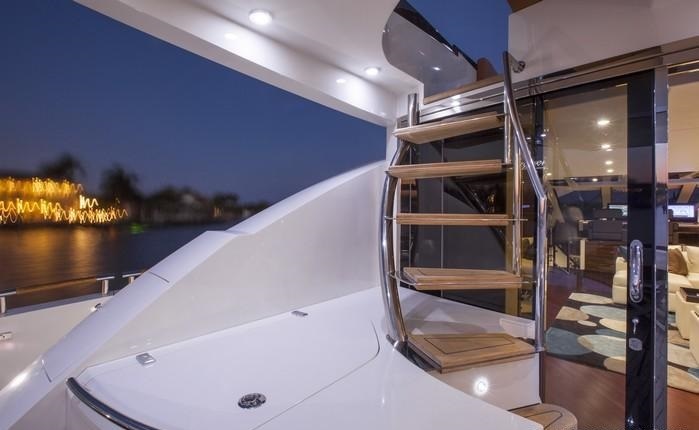 Lazzara 92 FREDDY is powered by 4 Volvo engines, capable of 25 knots cruising and an exhilarating 31 knots flat out. 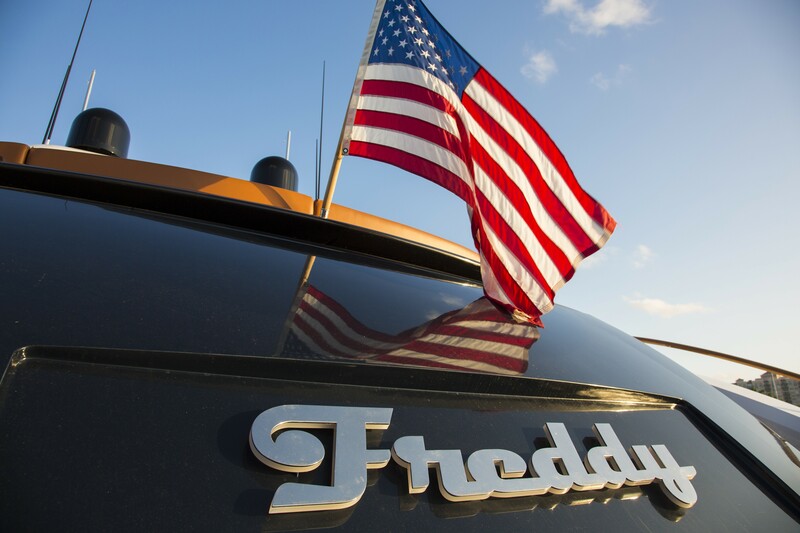 FREDDY is fitted with stabilizers, for optimum comfort. 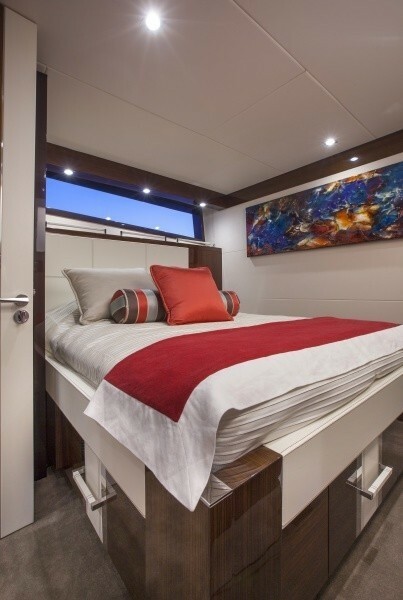 Luxury charter yacht FREDDY offers accommodation in 4 en-suite cabins, for up to 8 charter guests. 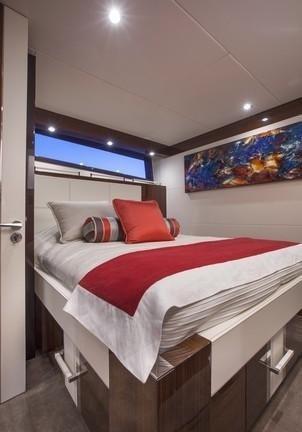 The master stateroom is amidships and full beam of the yacht, with a center lined king size bed, sofa, vanity, walk in wardrobe, en-suite with his and hers sinks, large shower and deluxe tub. 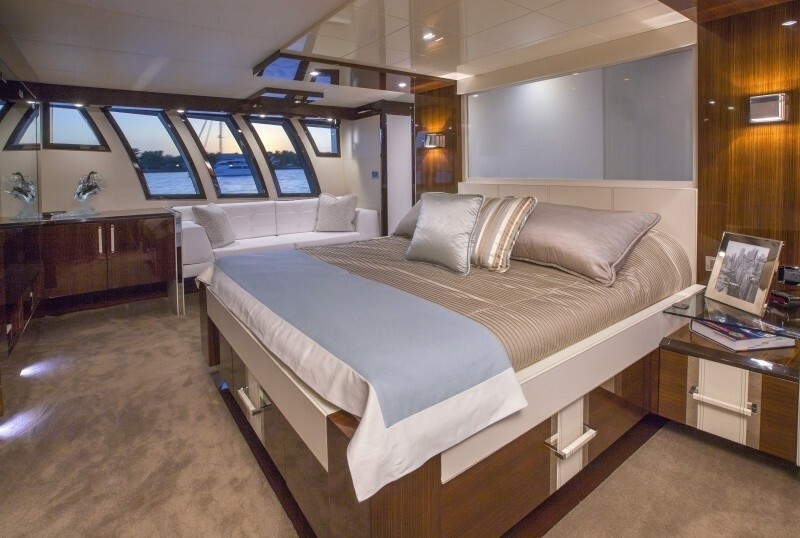 The master stateroom features a private balcony from the en-suite, perfect for a romantic sunset. 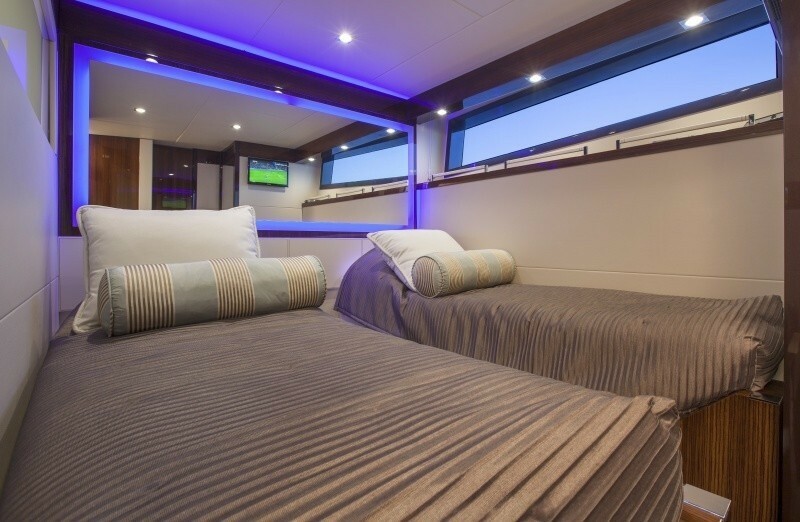 The VIP cabin is forward of the yacht, with a center lined queen size bed and 2 sofas. 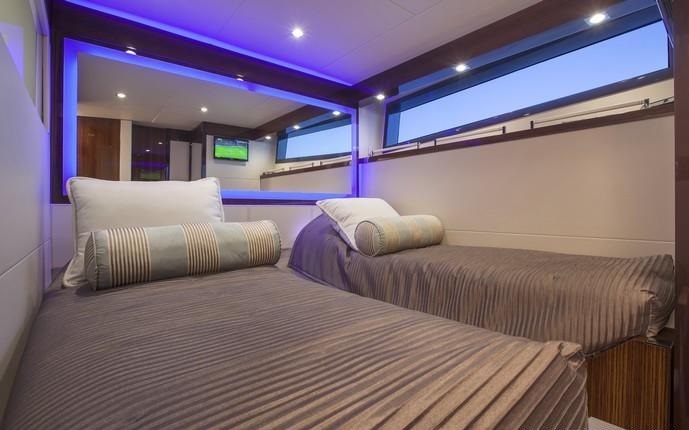 A guest double offers a queen size bed, while a further guest cabin has side by side twin beds. 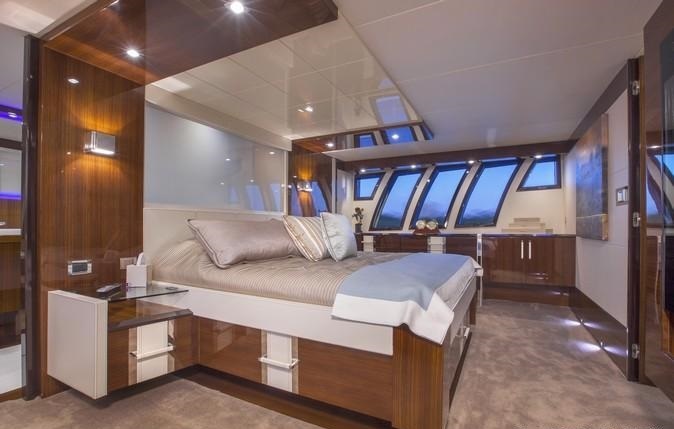 All 4 cabins have large windows for fabulous natural light, creating an open, spacious feel.